Kenneth Balcomb, senior scientist at the Center for Whale Research in Friday Harbor, Washington, explains the connection between the Southern Resident killer whales (orcas) and chinook salmon. The whales prefer chinook salmon over any other food source and scientists have determined there’s a tight correlation between the two populations. When the salmon are abundant, the whales thrive. When the salmon are scarce, the Southern Resident orca population suffers. I have great respect for Ken and he is correct on all statements but one. He said that the government up north (In Canada) is more enlightened. If you ask any Canadian conservationist they will agree with me. The British Columbia and Canadian governments are far behind the state of Washington and the US when it comes to environmental regulation. In fact Canadians usually speak about the US as the example to emulate when talking about environmental regulation. Salmon and Orca whales, FOREST CREATURES. We need to protect what is left of British Columbia’s old growth forests to ensure the survival of salmon and the orca whales that depend on them as their main food source. Very interesting find. 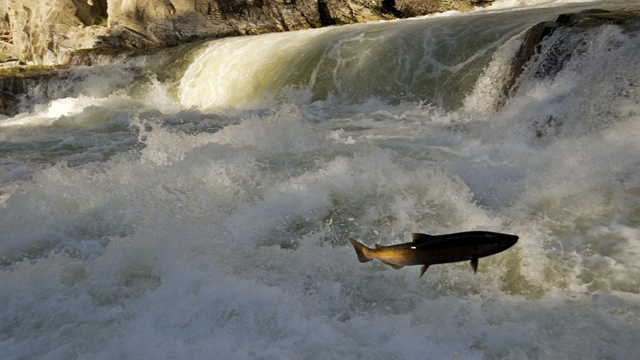 It seems that they can’t live without their salmon if they choose not to show when it isn’t abundant.